Local media and marketing agency, Tonick Media, publisher of Business Cornwall, is launching a new course designed to help small to medium enterprises (SMEs) acquire the skills and knowledge necessary to make the most of Social Media sites such as Facebook and Twitter. The launch of the course follows growth in the sector which has seen hundreds of SMEs across the region and further afield signing up to social networking sites in an attempt to market their businesses more successfully. The new course will be prepared and delivered by marketing director Aren Grimshaw who has a wealth of experience in training businesses of all sizes how to make the most of this emerging media. His work with the company has seen him work with a range of private and public sector organisations to make the most of Social Media. Delivered over two days, the course features a mixture of theory, practical lessons in how to use the platforms and creative workshops designed to help business managers and leaders gain the understanding they need to implement the tactics within their own organisations. Each delegate will receive additional support through workbooks, handouts, video tutorials and follow up mentoring to ensure they can implement all they have learnt. Grimshaw said: “There are a number of courses and other training materials on the subject of Social Media available to businesses; however, many of these have been designed with larger businesses in mind. They lack focus on areas such as the resource available to manage them and with many small businesses having little time to investigate the medium a more practical course at this level is required. Grimshaw has continued to deliver the Social Media for Business sessions on behalf of Business Link and UKTI over the previous twelve months. 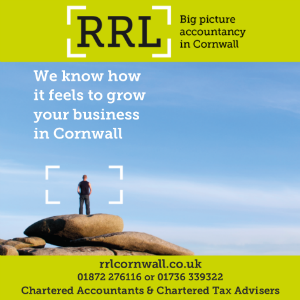 Through Tonick, Grimshaw has advised organisations such as Cornish Mutual Assurance, Talent Cornwall and Outdoor Adventures on potential strategies for their businesses. The first course will begin at The Wilson Building, Pool on Friday the June 4 with the second day taking place three weeks later on June 25. The course will be limited to ten delegates at a cost of £495 per attendee; however, in some cases 100% funding may be available. If you are interested to learn more about the course, funding eligibility or to receive the full course details, email Aren Grimshaw at Tonick Media or call 01209 718688.